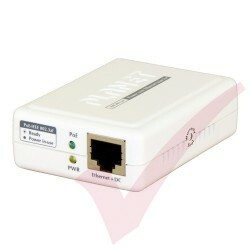 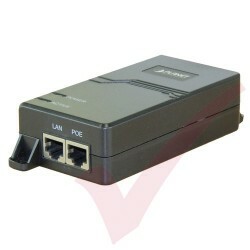 PoE Injectors There are 5 products. 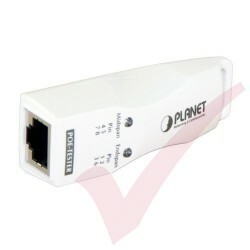 Plug and Show LED Indicators Simply connect the POE-TESTER to the PSE (Power Sourcing Equitment) or the RJ45 outlet and the LED will light up when it detects the PoE voltage via the UTP cable and identifies the PSE to be mid-span, end-span, or even the latest 4-pair 60-watt ultra PoE in a second. 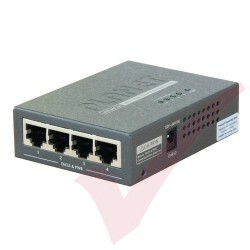 The PLANET POE-400 is a 4-Port IEEE 802.3af Power over Ethernet injector hub complied with IEEE 802.3, IEEE 802.3u and IEEE 802.3af standards. 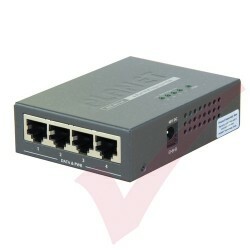 Equipped with 4 10/100Base-TX Fast Ethernet ports, the POE-400 supports full 48VDC power for any remote IEEE 802.3af powered device (PD) like Wireless LAN Access Point, IP phone, and LAN Camera.